This Ph.D. dissertation presents a framework design, analysis and implementation of embedded systems. A model of timed automata with extended asynchronous processes is adopted, i.e. tasks triggered by events. A task is an executable program characterized by its worst-case execution time and deadline, and possibly other parameters such as priorities etc, for scheduling. The main idea is to associate each location of an automaton with a task (or a set of tasks). A transition leading to a location denotes an event triggering the tasks and the clock constraint on the transition specifies the possible arrival times of the event. This yields a model for real-time systems expressive enough to describe concurrency and synchronization, and tasks with (or without) preemptive and (or) non-preemptive. 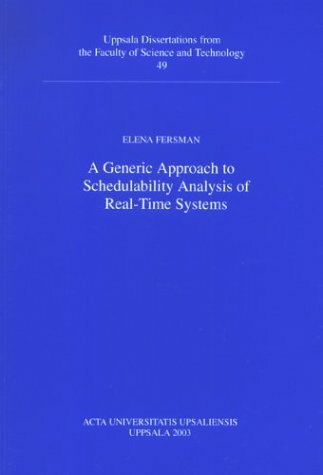 It is believed that the model may serve as a bridge between scheduling theory and automata-theoretic approaches to system modeling and analysis.